We will have a den meeting on Monday evening. We will be indoors but will continue to work with the boys on their Outdoorsman badges. 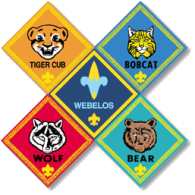 This activity will focus mainly on the upcoming Webelos Weekend (see related email) and ropes/knots. 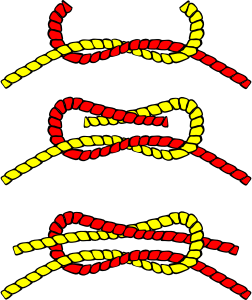 I'll need some adults to help the boys while they practice preparing ropes for use by whipping and fusing and also the basic knots they will use outdoors for building shelters (taut-line hitch), tying off to posts/rails (clove hitch), etc.